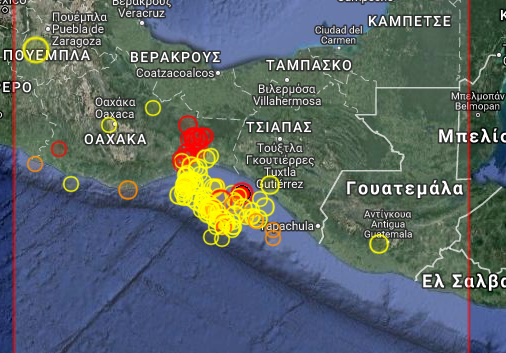 Earthquake Prediction: Mexico, no letting off: 5.7R offshore Chiapas. Mexico, no letting off: 5.7R offshore Chiapas. Aftershocks continue and they will continue for a long time in Mexico. This 5.7R offshore Chiapas is an example. How long is long for aftershocks to occur and what is the Rmagnitide expected?